Jane Verostek - Associate Librarian at SUNY ESF created this guide to provide information about landscape architect Fletcher Steele. The SUNY ESF Archives and Special Collections contains the personal and business archives of Steele. 749 Drawings, blue prints and photos of Fletcher Steele designed gardens. 12,000 negatives made by Steele from 1913-1970 - including pictures from his works in progress and his travels around the world. Client order books, which contain client names, suppliers and nursery orders. 8" X 10" Photostat prints of sketches, renderings, and site plans for 85 of his clients. Scrapbooks of photographs and notes made by Fletcher Steele of his gardens. Scrapbooks and postcards of Fletcher Steele's travels around the world. Of special note - all of the photographs in the Fletcher Steele archives are in black and white. The archives does not contain any color photographs. For research questions related to Fletcher Steele please contact Jane Verostek, Associate Librarian at the SUNY College of Environmental Science and Forestry at jmveros@esf.edu or by phone at 315-470-6718. Of note - all of the archives of Fletcher Steele are located in one room/location. 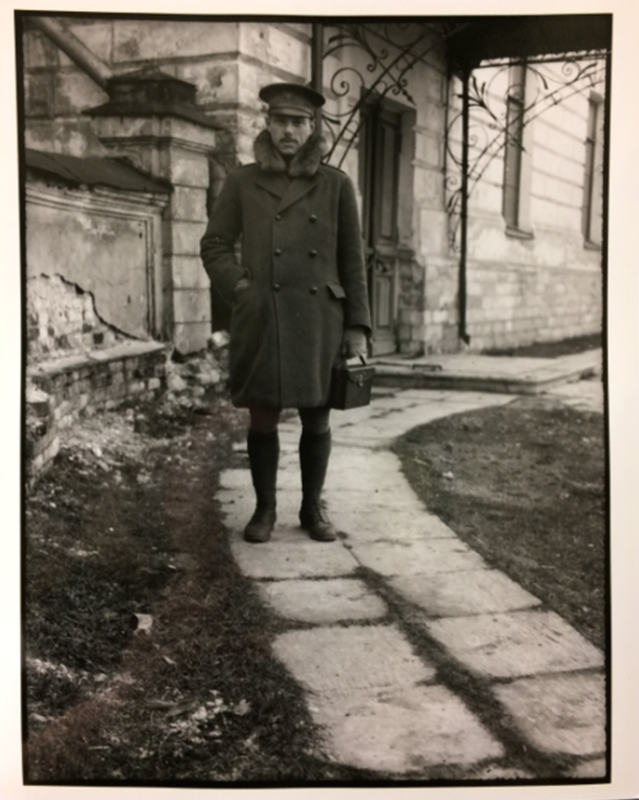 Fletcher Steele in 1918 in Russia as in inspector for the American Red Cross in WW I.